We have a variety of merchandise available for purchase online or through mail order. 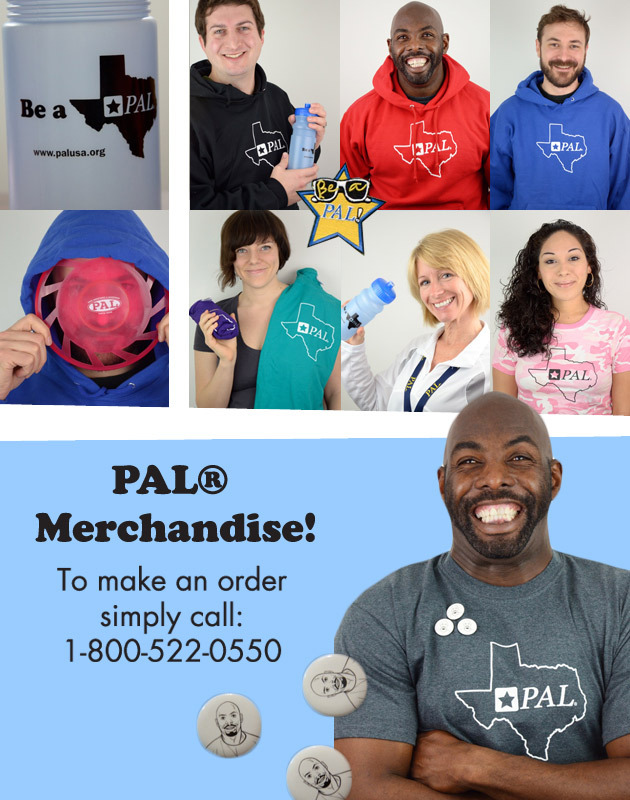 To order via mail, click on the PAL® Merchandise Order Form. Please note we recently had to update our shipping fees to more accurately reflect shipping costs. Note: You need Adobe Reader or Preview to view this .pdf form.To download a free version of Adobe Reader, please click here. If you have a question about an item that you are interested in purchasing, please feel free to call us at 1-800-522-0550 or if you are in the Austin area please feel free to call 512-343-9595.